Onemizer is an artist who colored the life in the French capital and beyond with an array of energetic, and vivid graffiti-inspired artworks. After having spent years painting on abandoned railway tracks and warehouses, Onemizer started to transfer his art to canvases which enabled him to show his unique style to a larger, global public. 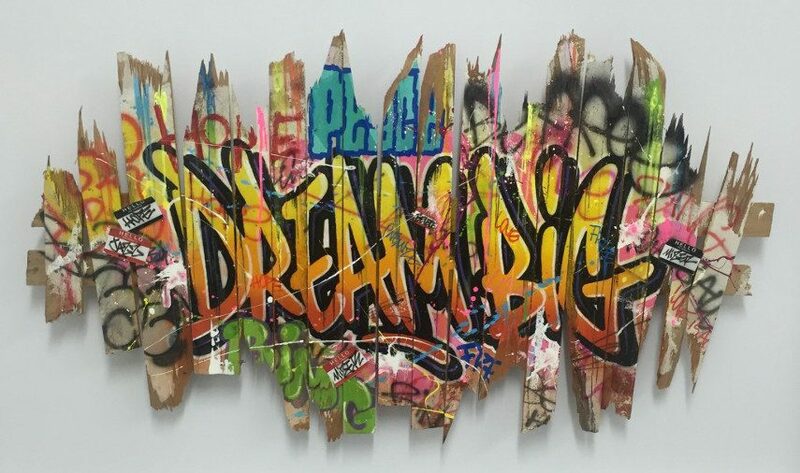 Regardless whether he paints celebrity portraits or wild-style lettering, artworks by Onemizer always represent the explosion of colors and positive vibrations. French artist Cyril Valade aka Onemizer was born in Europe, but his first encounter with the art world happened in Africa where he spent a part of his childhood. 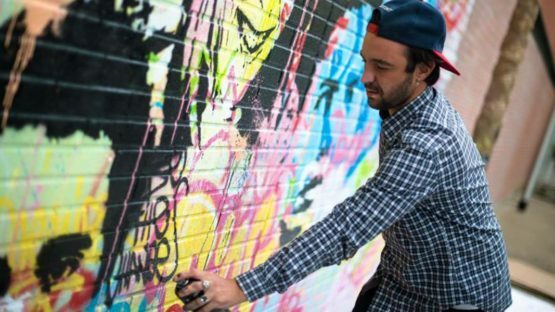 Thought at first he was attracted to watercolor painting in his teenage years he became acquainted with the French street art scene that immediately captured his attention and sparked his interest. Long walks around Paris, motorways banks, vacant lots and railways represented a true artistic journey for the French creative, as he had the opportunity to see an abundance of artworks and graffiti styles that flourished in the French capital at the time. This propelled Onemizer to enroll at designed studies after high school but he eventually decided to peruse a self taught career. Onemizer begun his career by painting on the streets, but bit by bit he made a shift from walls to canvases. His art was first showcased in luxury hotels, restaurants and bars, but over time Onemizer’s artworks found their way to galleries and a truly global public. Since his first exhibition organized in the neighborhood of Bordeaux in Paris, he has participated in numerous group and solo shows that were on view in the finest gallery venues and museums in London, Singapore, Amsterdam, Dubai and many other places around the world. In 2014 the talented art-maker took part in painting the largest street art canvas artwork at a special event in Dubai thus turning himself into one of 100 international art professionals who worked together to set the Guiness world record. Onemizer draws inspiration for his paintings from the works of grand pop art figures such as Jean-Michel Basquiat and Andy Warhol, but also form his fellow street artists and his personal experiences. Onemizer likes to work in a variety of styles including lettering and portraiture. Celebration portraits and depiction of people and objects that marked his personal and collective history also represent a common topic in his work. Over the years Onemizer experimented with a variety of influences often combining graffiti, coulures, and a multitude of colors. Onemizer is known to use a variety of techniques to create his colorful works including drawing, brush painting, stencils, paint bombs and sometimes his bare hands. By combining the versatile techniques and styles Onemizer is constantly challenging his craft looking to avoid a singular styles. Onemizer is represented by Galerie Perahia. He lives and works in France. Images courtesy of Galerie Perahia.